Your teacher was wise for telling you not to cheat on your math homework using a calculator. But you can (and should) totally break that rule when crunching numbers for a car. Using a calculator or estimation tool makes car buying a heck of a lot easier, and puts the cost of owning a car in perspective. But there are so many different tools out there. You’ve got price comparisons, calculators, estimators, quizzes and more, so it probably makes you wonder which one you should use. That’s why we took the time to give you a list of tools to choose from. If you decide to use even just a few of them, your car shopping experience could be much easier than it normally would. The first and foremost tool to use, one that you’ve probably seen is your run-of-the-mill auto loan calculator. 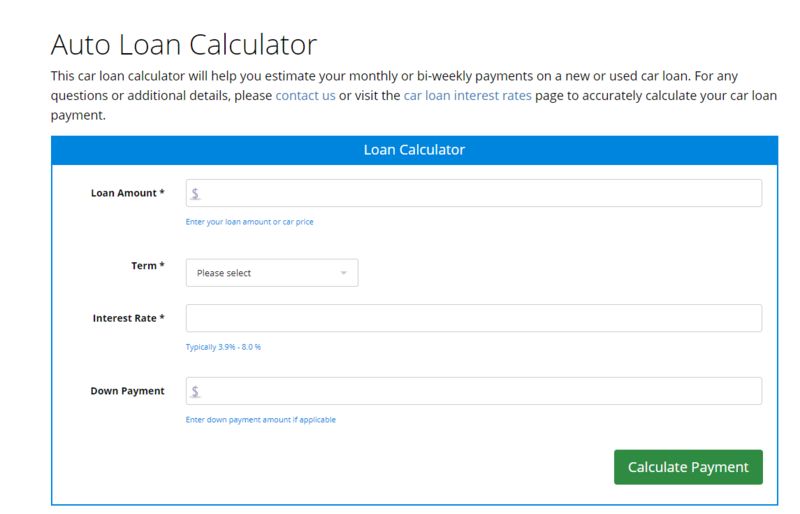 The main purpose of these calculators are to give you an estimate of your monthly car payments, which is important to know while creating your budget. There’s nothing fancy about an auto loan calculator. You just plug in the amount of financing you’re looking for, the length of the loan, the interest rate and finally, your downpayment amount. Our very own auto loan calculator can help you with these things. Now there’s a disclaimer for a car loan calculator: the results you see may not reflect the payments you make. For example, if you don’t have the greatest credit, you may have to pay a higher interest rate than what you put in the calculator. 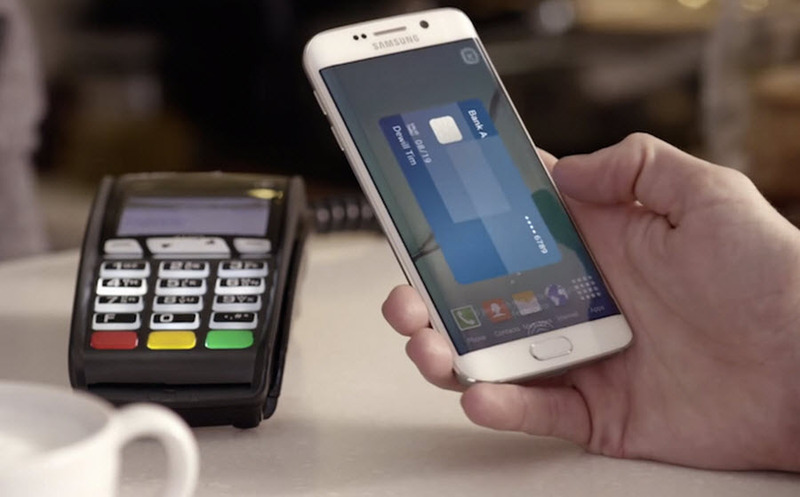 That usually means having to adjust your loan term length, giving you a different monthly payment altogether. Looking for a used car, or a vehicle that doesn’t depreciate as fast as others? Then a car value estimator will come in handy. It’s not a calculator but it is a nifty little tool that gives you a “to-date” value of the car you’re interested in buying. 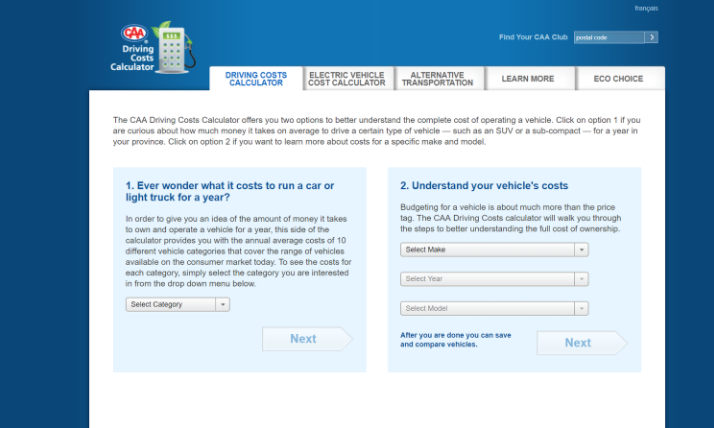 A car value estimator is also quite simple to use. Generally speaking, you pick the car’s make, its model and its production year. The result is the current dollar value, which is based on the market. To get the most out of an estimator though, you really need to understand the concept of depreciation and how it works. Kelley Black Book is a helpful tool for figuring out those values. 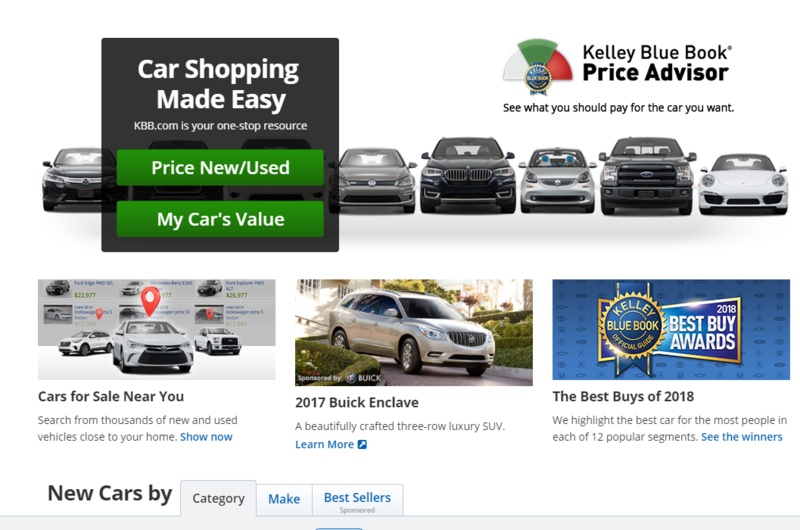 It’s a time-tested tool for helping drivers determine the value of their current cars (for trade-in purposes), as well as cars they want to buy in near future. We’re gonna say right off the bat, that calculating a car insurance quote is a bit tricky. There are certain things an insurance calculator can’t factor in: your driving record, your insurance provider, and your coverage plan are among them. So whatever number the calculator spits out, it is not necessarily final. 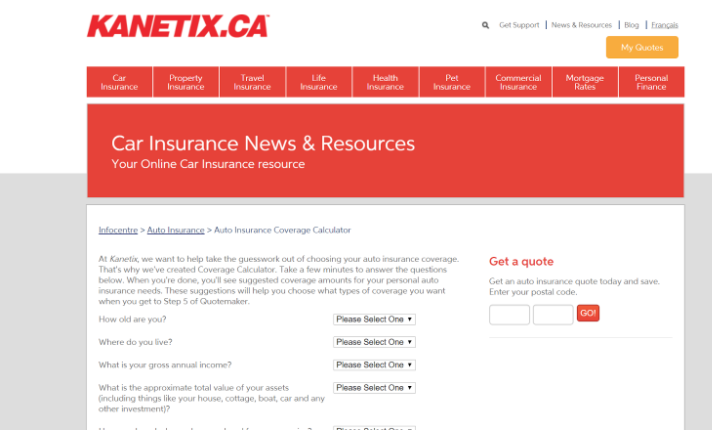 With that said, an insurance calculator (like the Kanetix one pictured above) can give you some pretty precise numbers. It factors your age, location, car (make/model/year) and the amount of mileage you log per year. As long as you put in the right information, the quote generated by the tool will be close to accurate. Just remember that it doesn’t calculate all factors, meaning that a quote given by an insurer could very well be different. Gas costs can hang low today, but then shoot up tomorrow. You’ve most likely seen those news reports where there’s a warning of a gas hike to come that night. With that said, fuel costs for a car can change very quickly, but you can still calculate how much your fuel costs will be on average. Again, your fuel costs will vary due to changes in season, world events (ie. conflicts, natural disasters) and the performance of your car. But the use of a fuel calculator like the one from CAA pictured above can help give you a range where your gas costs will fall. Driving an EV is no doubt a different experience from driving a gasoline car. And of course, that means different costs. Apart from the cost of the cars themselves and their maintenance, their “fuel” costs – the cost of charging them – differs from regular vehicles. 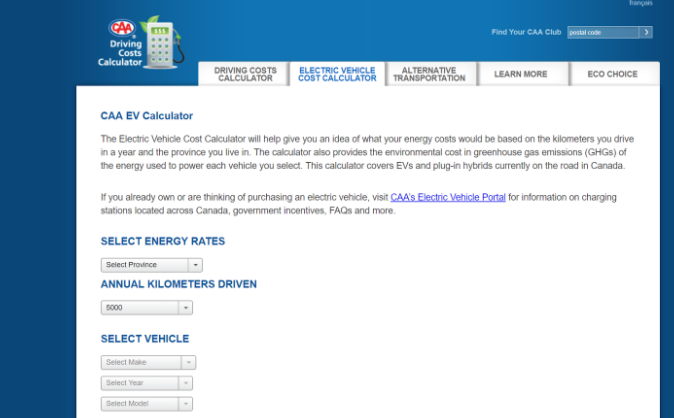 Thankfully, there are great calculators out there to help you add up the costs of charging an EV. You can look to CAA again to calculate those numbers. This calculator gives you an estimated energy cost per kilometre and the annual energy cost. As an added bonus, you can compare the energy costs of driving an EV with the fuel costs of a regular gasoline car. True, you’re not thinking about taking your new car into a repair shop just yet – you wanna enjoy it first! But it’s inevitable that sooner or later, your car will need some fixes, whether it’s emergency repair or just a routine fix for its maintenance checklist. You’ll never know exactly how much money you’ll have to spend on car maintenance. But just like the gas calculator, a repair calculator can give you a good idea of how much money you might have to put into your car’s repair. 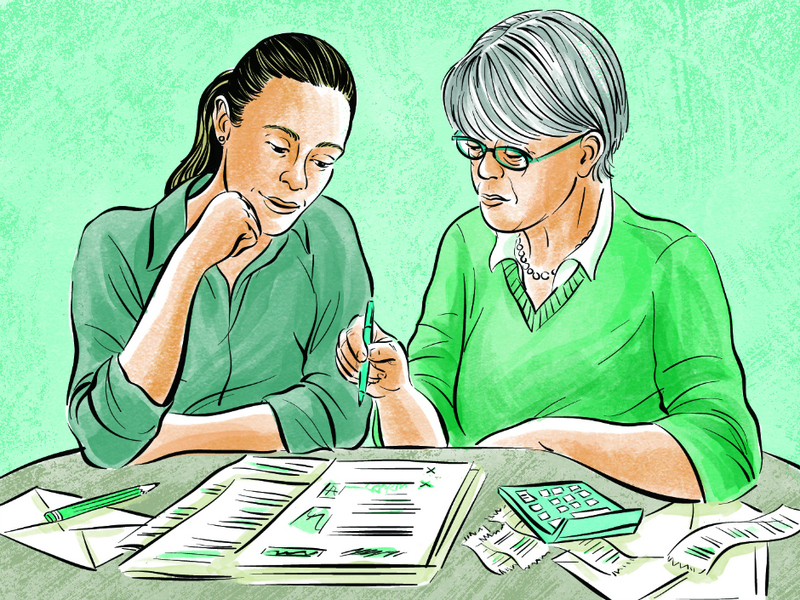 We’re going to assume that you do some budgeting already, but having pointers on what you need to spend can make it much easier to map things out. After all, it’s very easy to look over all the costs involving a car. For example, most people make room in their budget for their monthly payments. But not everyone puts away some “emergency funds” for the possibility of a car breakdown, something that can happen to anyone. Again, you shouldn’t focus on just negative scenarios, but it’s always a good idea to prepare yourself for them. 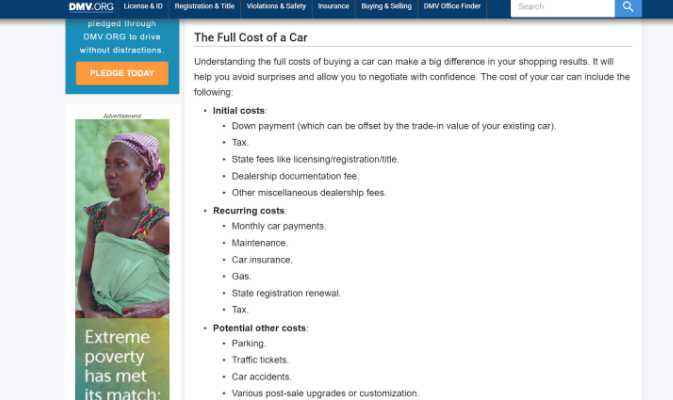 The DMV has a good list of costs for you to consider, which can help you form a budget that’s more comprehensive and doesn’t leave any costs unchecked. Last but not least, you can check your credit report if you’re looking to finance your car. Your credit score (along with some other things), can mean the difference between an easy approval or a stressful one. With that said, you need to remember this: good credit= an easier time getting approved for a loan, bad credit= a harder time getting approved for a loan. It also takes time to improve bad credit, so you will likely have to pay higher interest rates to start. 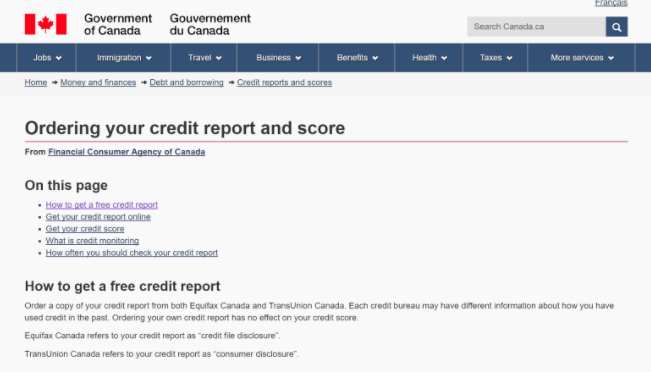 You can start at the Government of Canada’s site to start the process of learning where your credit stands. The good news is that regular and on-time payments made towards a car loan can improve a damaged credit profile. As your score improves, you can eventually refinance for a lower interest rate. Here at Auto Loan Solutions, checking an applicant’s credit profile is the first step to getting them approved for a car loan. 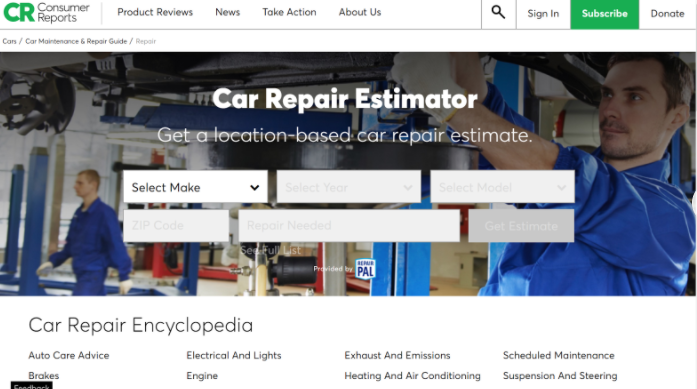 There are many more tools to help you help jumpstart the car buying process. But the ones mentioned in this post are simple to use, and don’t require a huge amount of time or any money at all. Although they can’t give you the exact costs of owning your car, these tools can remove a lot of the guessing that comes with car ownership. And removing the uncertainty around the costs of owning a car is the first step to a stress-free experience on the road.